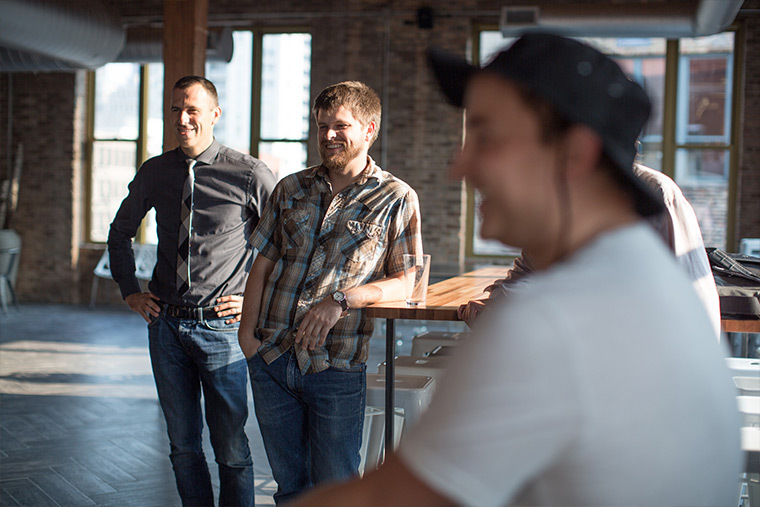 Devbridge proudly calls 343 W. Erie St., Chicago our new home. Half a year in the making and coincidentally launching at the same time as our new website, the move to a 13,000-square-foot space in the trendy River North neighborhood marks a milestone in our commitment to sustainable growth and providing exceptional benefits to the team. The road traveled is less glamorous than our new habitat, however, and tells a story of a bootstrapped company practicing our values and staying lean throughout growth that landed Devbridge on the Inc. 5000 three years in a row. Time to reflect. 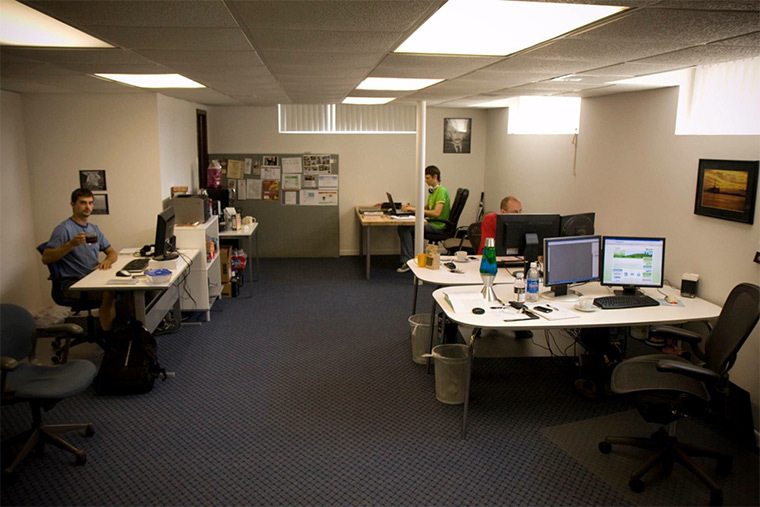 Traveling back in time to 2008, we start at our historic Bensenville office where Devbridge first opened its doors. This should not be interpreted in the literal sense, as we kept our doors tightly locked due to the rampant crime and rabid drug dealers in the industrial-chic neighborhood near O'Hare. 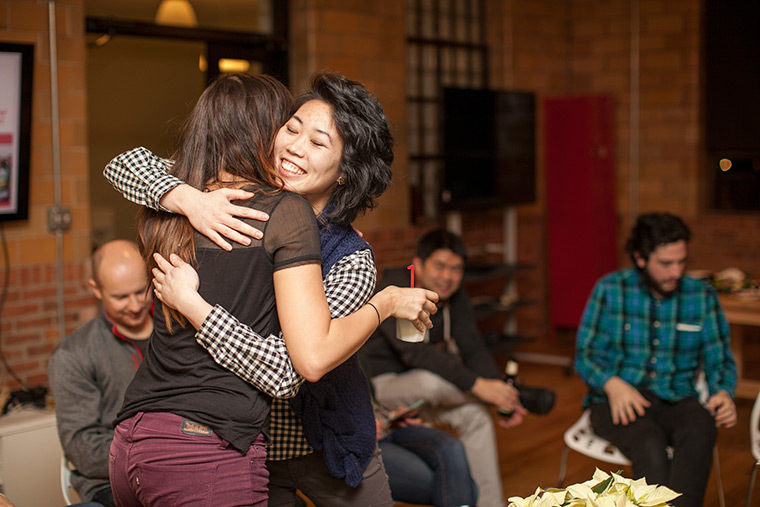 Technically on the outskirts of Chicago, our first la casa del Devbridge was a semi-basement that got frequently flooded, had few windows to speak of, and primarily housed five of us and a coffee machine that cost more than the combined assets of the company. Good times. We moved to our urban office at 450 N. Paulina within the first couple of years. 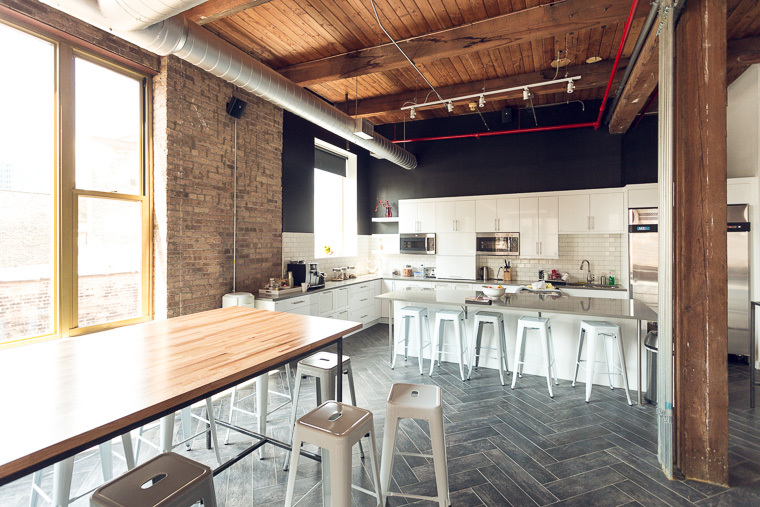 The lease ended up being short-lived, as we outgrew the office in a year and continued to 1659 W. Hubbard - a renovated space just across the street. Moving ended up being inexpensive and entertaining. Forcing our interaction designers to carry 30-inch Apple monitors down the block may have something to do with it. 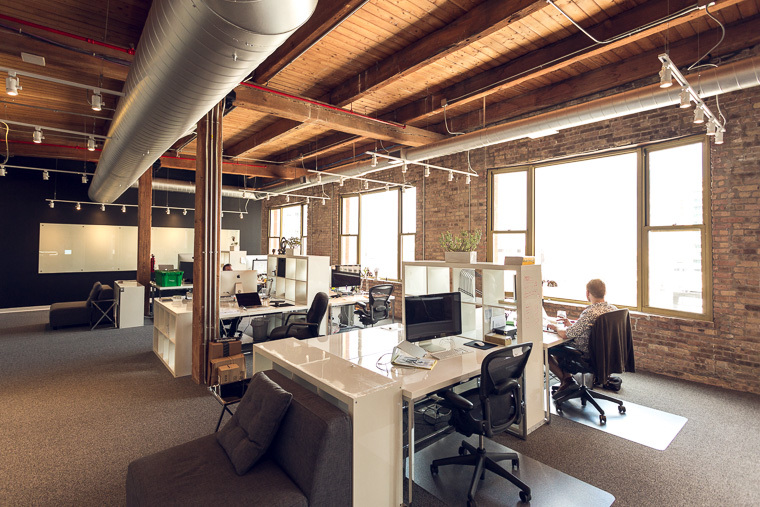 Personal space violations aside, the 1659 W. Hubbard office, a pickle factory previously, served us well over the last couple of years and helped create digital experiences for clients such as Mazak, the Art Institute of Chicago, and the Canadian Imperial Bank of Commerce. We failed miserably to ferment any vegetables, however. As you can tell, we’re frugal not just with our clients' budgets. This approach has allowed us to invest our profits into areas that make the biggest impact on the growth and development of our professional services. Our growth, in turn, has dictated that we continue leasing (vs. owning) our real estate due to the pesky side effect of outgrowing the spaces within a couple of years. As I’ve mentioned, 343 W. Erie has been in the works for over half a year. We’ve reached the momentum and size (closing in on 150 employees) in our business where a strategic investment into a larger, better equipped office was necessary to fuel our growth for the next three years. I wanted to thank our clients and our team for making this possible, as well as our Director of Operations Marius who made the move smooth and the space welcoming. Onwards to bigger and better!